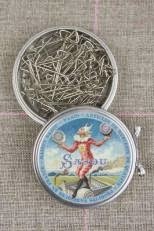 Homespun Stitchworks..... For the love of vintage: Ooooh they have arrived!! ... The most beautiful embroidery scissors! Ooooh they have arrived!! ... The most beautiful embroidery scissors! With every snip and stitch I am in heaven! Yesterday after I had started to stitch, there was a knock on the door and stood before me was the postman. I knew what I was signing for and with such excitement I gladly took my parcel inside and tried to be sedate in the opening of it ( in truth I was like a child opening presents on Christmas day!) 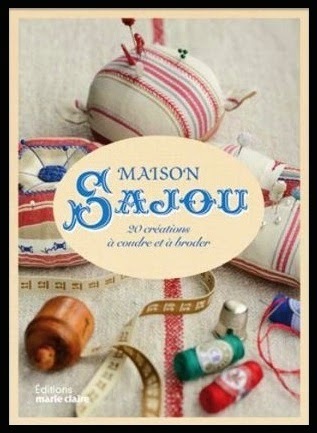 The stunning embroidery scissors and old fashioned pins have arrived from Sajou in France. They are so beautiful and of course I could not wait to try my 'S' scissors out. In the parcel were two gifts as well, a mouse mat shaped like a cotton reel end and a free cross stitch pattern of all the scissors that they make......... I think I may stitch my ones and make a little case for them with the pattern on the front. I took my scissors to my sewing room and what a pleasure they are, not only a thing of pure beauty but useful and very very sharp and easy to handle. My beauties!! aren't they divine!